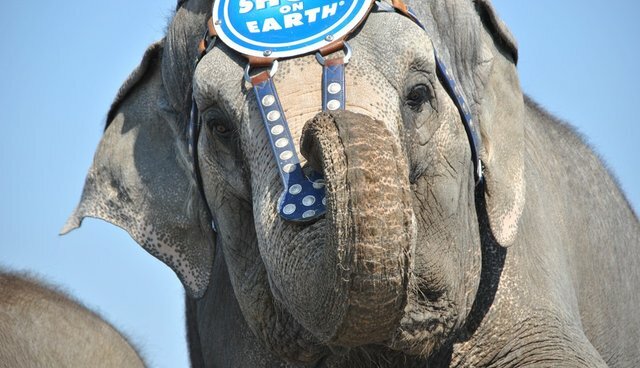 Elephant lovers around the nation are dancing at the news that, as of 2018, elephants who belong in the wild will no longer have to dance for the Ringling Bros. circus. On March 5 the Associated Press reported that Ringling Bros. and Barnum & Bailey Circus, owned by parent company Feld Entertainment, Inc., will phase out its captive elephant acts by 2018. This is huge news coming from a powerful organization that, up until now, has adamantly denied that any of its captive elephants were mistreated. But as our friends at Elephant Voices point out, "the essential physical and psychological needs of elephants cannot be met in captivity." "Elephants in captivity are just shells of themselves. One can not comprehend the psychological, emotional and physical suffering elephants and all animals endure while in a circus. It's a life of misery, heartache and suffering," adds Ann Lewis, Vice President of Elephants DC, a nonprofit advocating for elephant welfare. 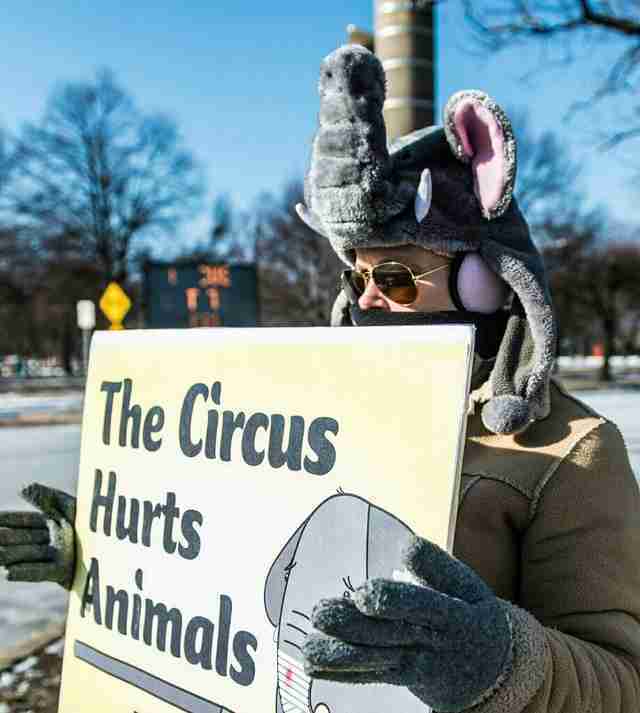 "I applaud Ringling Bros.' decision. It's long overdue and I hope this is a change all circuses will embrace not only for elephants but for all animals." We absolutely commend Feld Entertainment's decision to eliminate its elephant acts from its circus performances across the nation. 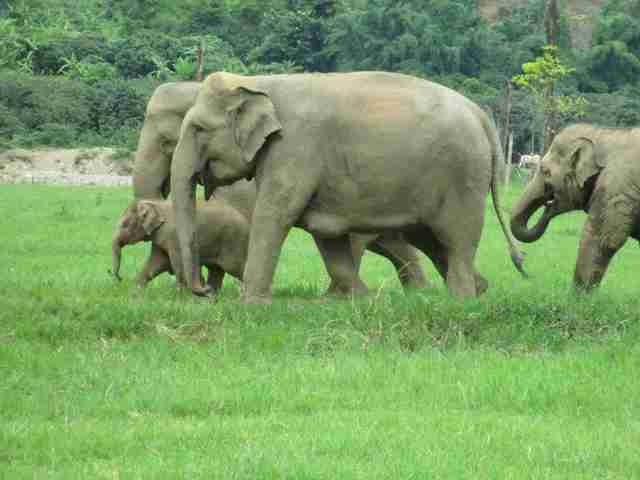 And we won't give up in ensuring that Feld's elephants - and all elephants - get a long, happy life free from captivity. They deserve nothing less. The history of elephants forced to perform for the circus is almost as old as the circus itself – and it's a long history full of suffering, abuse and cruelty. Elephants are stunningly intelligent and highly social animals, capable of experiencing emotions of joy, love and grief. Yet in the hands of Feld Entertainment and other circuses, elephants are stolen from their families and "trained" to perform through a brutal regimen of whippings, electric shocks and sharp jabs from metal bullhooks. Circus trainers aim to acquire elephants as calves, when the elephants are still young enough that their spirits can be "broken," both from the trauma of being separated from their mothers and from the abuse of training. For decades, the public flocked eagerly to the circus, enraptured by the seemingly delightful magic of elephants performing their intricate tricks. Audiences were unaware of the horrors happening behind the curtain that made such performances possible. 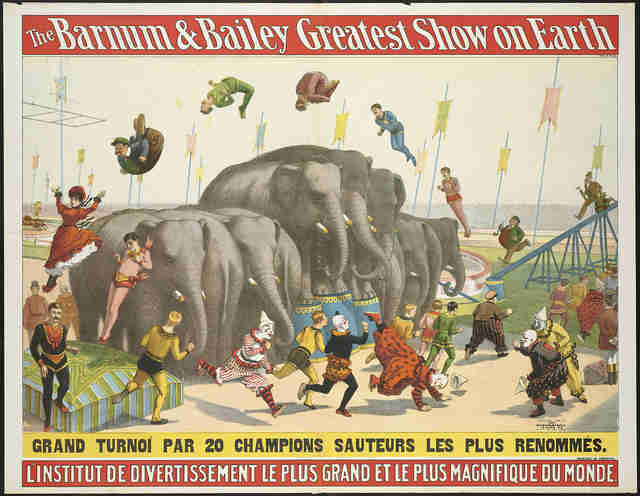 And the circuses did their best to keep it that way. But in recent years, slowly but surely, the tide of public opinion began to change. It started with a few, dedicated protesters. Those few protesters launched a nationwide movement. Powerful exposes further drew attention to the harsh reality of the elephants' conditions. Other nations even began passing laws banning all wild animals from circuses. In other words, more and more people began speaking up. And finally, at long last, Feld Entertainment listened. "There's been somewhat of a mood shift among our consumers," Alana Feld, executive vice president of Feld Entertainment, told the Associated Press. "A lot of people aren't comfortable with us touring with our elephants." Never underestimate the change that a few passionate voices, grown over time, can achieve! Elephants DC sincerely thanks all the elephant advocates who have fought for so long and for so hard for captive elephants everywhere. What's going to happen to Ringling's elephants? Like everyone else who cares for the Ringling Bros. elephants, we want to know that the elephants will be well taken care of after their performances are phased out of the circus. Feld Entertainment's elephants range from as young as two-years old to as old as 69. According to the Associated Press, "Feld owns 43 elephants, and 29 of the giant animals live at the company's 200-acre Center for Elephant Conservation in central Florida. Thirteen animals will continue to tour with the circus before retiring to the center by 2018. One elephant is on a breeding loan to the Fort Worth Zoo." While we celebrate Feld's decision to eliminate its captive elephant acts from its circus, we at Elephants DC believe elephants need thousands of acres to roam - not hundreds. These elephants should not be bred for zoos, but rather freed to true sanctuaries. After a lifetime of hard work and suffering all for the sake of our "entertainment," these elephants deserve a cushy retirement in a sanctuary, where they have plenty space to roam. They should have other elephants to bond with, and they shouldn't have to work any longer for any purpose, whether it's breeding or entertainment. Let's let these elephants live out their lives in peace! They've earned it. What else can we do to help these and other captive elephants? Ringling Bros.' announcement to phase out elephant performances is a groundbreaking decision that will go far to advance elephant welfare. We can't understate its importance. If you want to help these elephants get the luxury retirement they deserve, writes Ringling Bros. and thank them wholeheartedly for their decision to end elephant acts. And then ask them to send their retired elephants to true sanctuaries, not zoos or breeding grounds. We also can't stress how critical it is that we continue to care for and advocate all elephants suffering in captivity. We hope that the United States will follow the 10 (and counting) compassionate nations around the world who have banned wild animals from circuses. While Ringling Bros. is a huge circus that can have a huge impact on the industry, there are still too many other captive, lonely and miserable elephants in our nation and worldwide who deserve the same freedom. Elephants belong in the wild! Let's do what we can to help keep them there. Thank you again to Ringling Bros. and to all the elephant advocates out there who have made this happen!